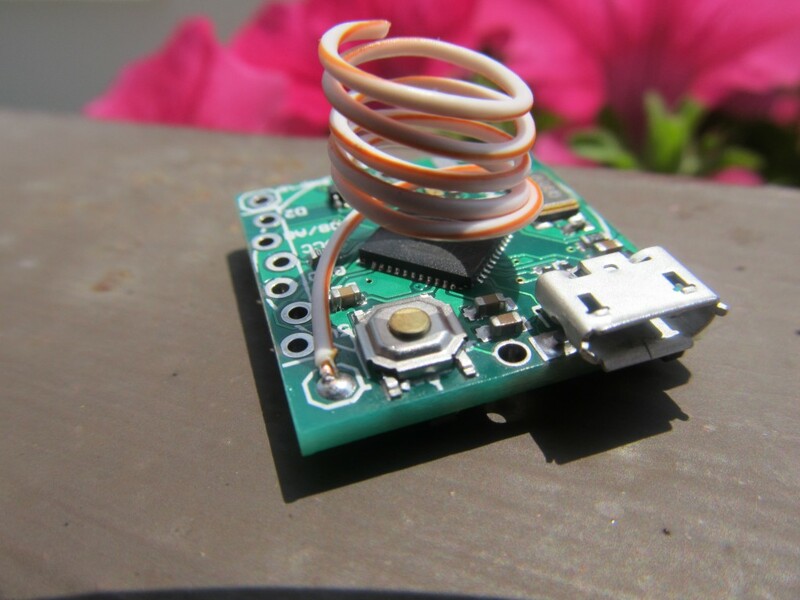 The “Funky v2” is a miniature open source/hardware cut-down clone of the Arduino Leonardo with RFM12B radio module. It is intended as low power, battery operated remote sensing node with USB interface. Due to the miniature size, only few carefully selected pins are available at the side header, none the less that is more than sufficient to interface several sensors at a time. Funky v2 is available for sale in limited quantities in the shop. Eagle design files and example sketches are available on my github repository. 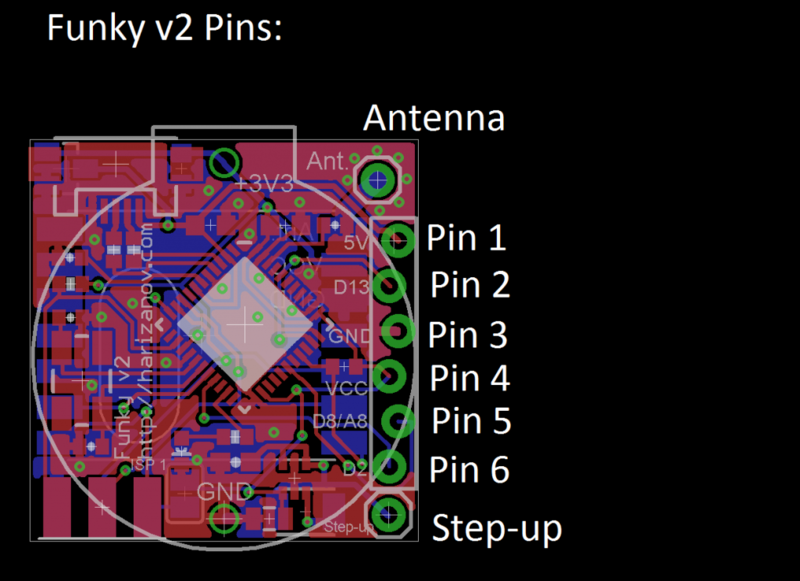 Funky v2 r2 will have the Caterina bootloader and will identify itself as an Arduino LilyPad USB. The purpose of this is to have Arduino IDE support for the Funky v2 without the need of any additional setup. Both Arduno LilyPad USB and Funky v2 operate on 3.3V @ 8Mhz, so it is important to select that board type and not the Arduino Leonardo that runs on 16Mhz. Simply plug in the Funky v2 and when asked for drivers (Windows), navigate to the Arduino/drivers folder. 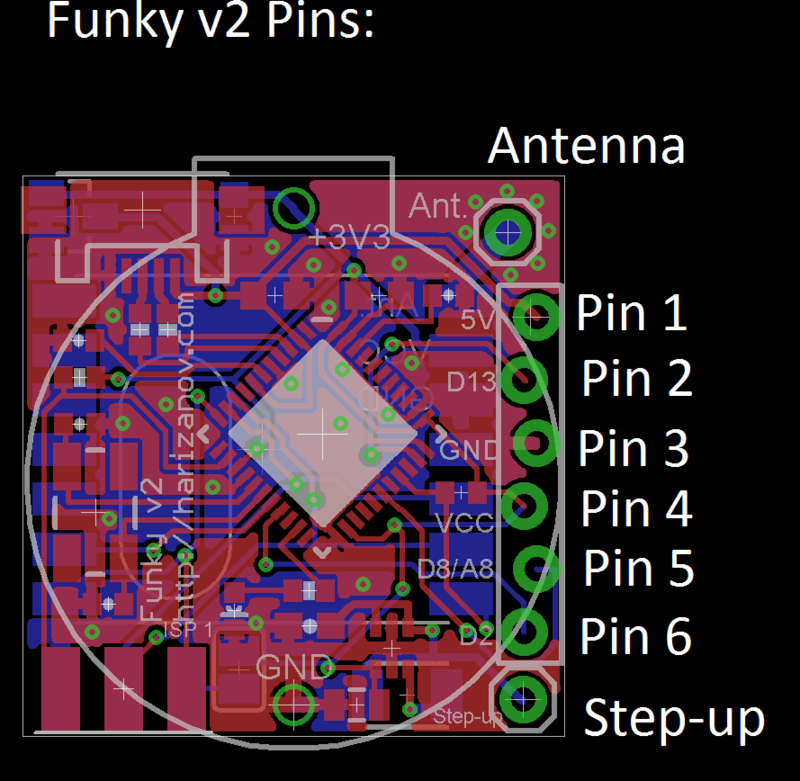 Older Funky v2 revisions need to use the Arduino Fiov3 drivers. The ZIP file includes instructions on using them. Note: The micro-USB connector is soldered on the board — not through it. Be gentle when plugging and unplugging your USB cable. The board can be powered from the micro USB plug and will regulate that input to 3.3V using the the Torex XC6206 LDO regulator included on the board (Funky v2 used MCP1700 LDO prior to Aug 14th 2013, see my post here) . The VUSB line is exposed as a pin on the side header, meaning that you can power the board from there too, just do not exceed the 6V limit that the ATMega32U4 VUSB has. The XC6206 dropout voltage according to the datasheets is 250mV meaning the minimum supply voltage when powering via the VUSB should be 3.3V+0.25=3.55V, so LiPo batteries can be also used as well. 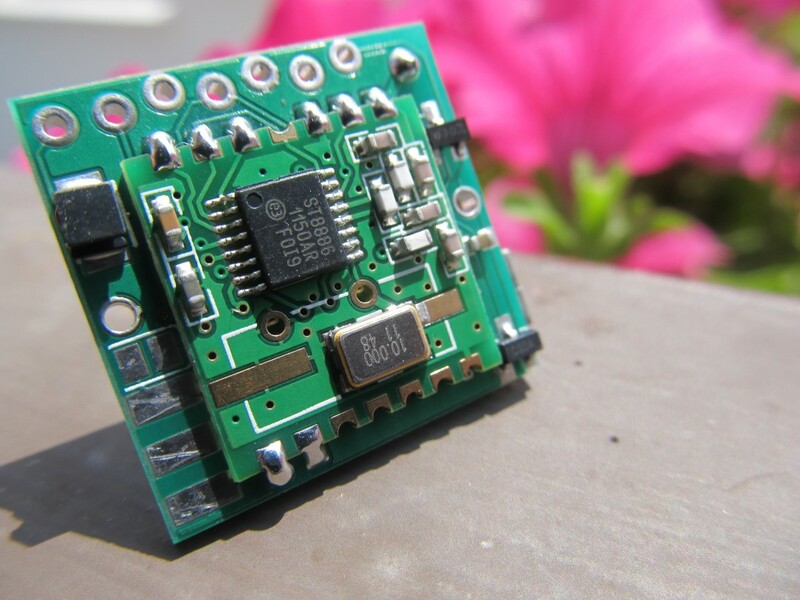 The board carries an option for the LTC3525ESC6 (3 or 3.3V versions) boost regulator and supporting elements to be included, this is useful when you wish to power the board from a 0.8 – 5.5V source and get that regulated to 3.3V. I use that option to power the Funky v2 from a single AAA battery. The board can also be powered from a single CR2032 battery, but unlike the Funky v1 the battery holder now can only be soldered at the side where the RFM12B module lays as the micro USB connector stands on the way on the reverse side. See example of this setup here. Running on battery is one one of the advantages of the Funky v2 project, however it needs taking special care to reduce power usage and therefore prolong battery life. Using this example sketch I managed to bring the power consumption down to 0.02mA @ 3V in sleep mode. NOTE: Please remove any battery attached when plugging into USB. You could disable the BOD fuse to save extra 0.02mA in sleep mode. The bootloader also slightly differs from the “stock” Caterina bootloader because it passes control to the sketch immediately on board power-up and will only go in bootloader mode for 8 seconds on external reset (or if no sketch is present). This is done so that no time is lost between board power-up and the sketch powering down the unused peripherals. Source code of the bootloader here. The side header of the Funky v2 started as intended Jeelabs’s JeePort, but that changed slightly as I advanced with the design. The reason for that is that JeePorts are Atmega328 specific and there is no information on which pins JCW will use in a future Atmega32u4 (if ever) based JeeNode. I still kept the overall idea of having a VCC-DIO-GND-3.3V-AIO-IRQ concept. Having said that, the Ports library will probably work with minor modifications. Pin 2 connects to Digital 13, a special pin with timer output to drive IR LEDs for example. This is useful when determining weather we are running on battery power or USB power and take measures to reduce power consumption if we are running on battery. See my full post here. When running on battery, we aim to cut power consumption down as much as possible. The following code will bring Funky v2 to about 0.03mA sleep current when running with BOD fuse disabled and at 4Mhz. Also see a complete example on GitHub. power_timer0_disable();   // Will also kill timekeeping, so be careful if your code relies on millis(); comment out if these are needed. 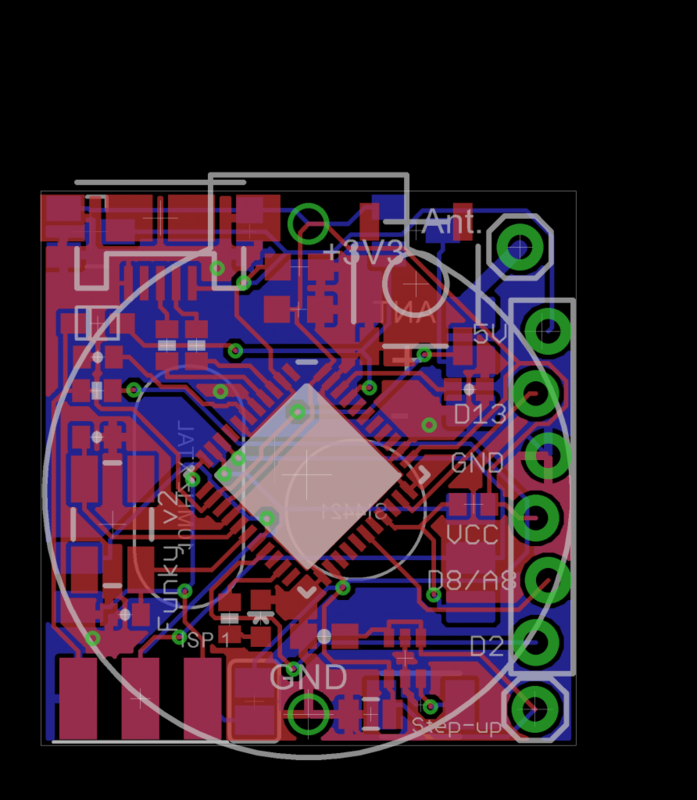 I intended this for interfacing with a single sensor, i.e. 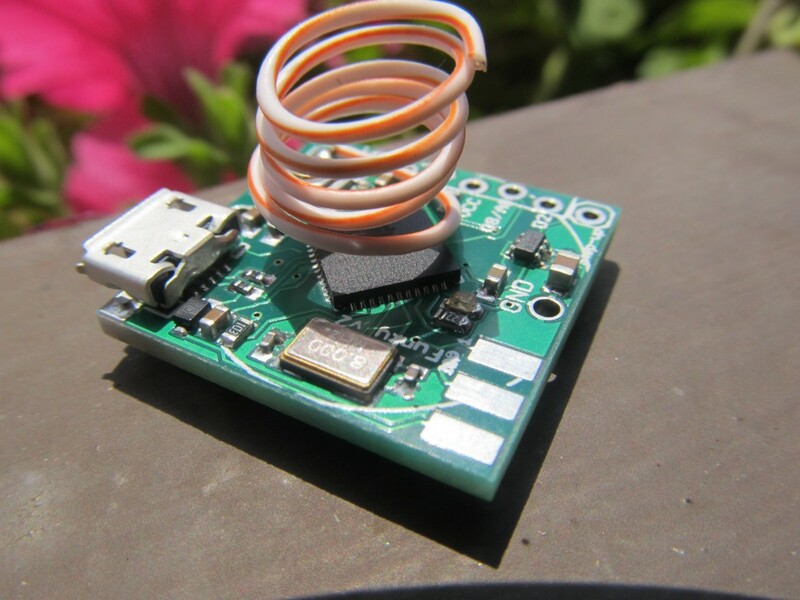 temperature, humidity, light level, PIR, pulse counter or sending IR/RF codes etc. It is just about the size of a button cell battery and can be powered by one, so having more pins would put more strain to the limited battery power anyway. What you’ve done here is really cool. 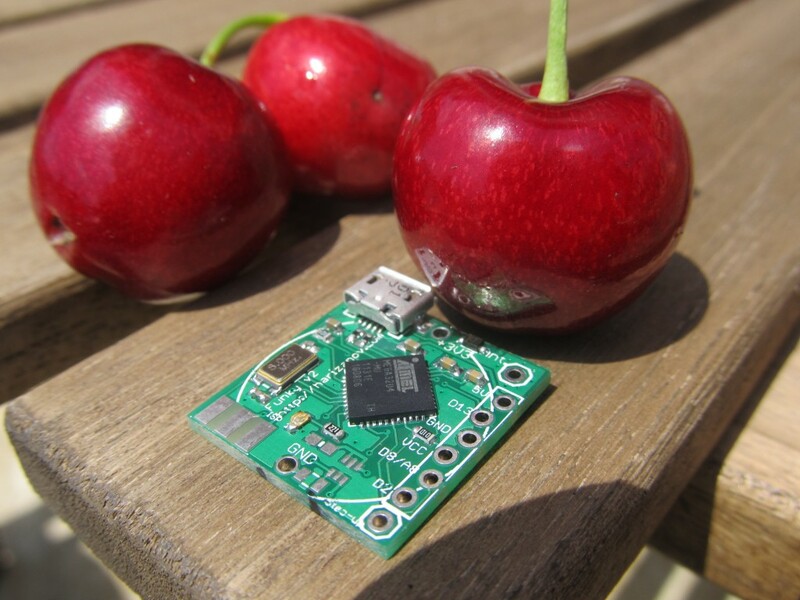 I see that you have the RFM2Pi board. Do you know if anyone has interfaced with a Beaglebone Black? 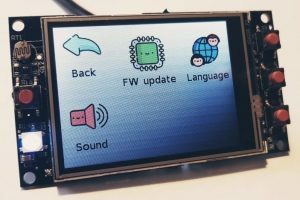 Is the RFM12 standard enough that a Funky v2 can talk to a JeeNode or other RFM12 implementation? Thx. 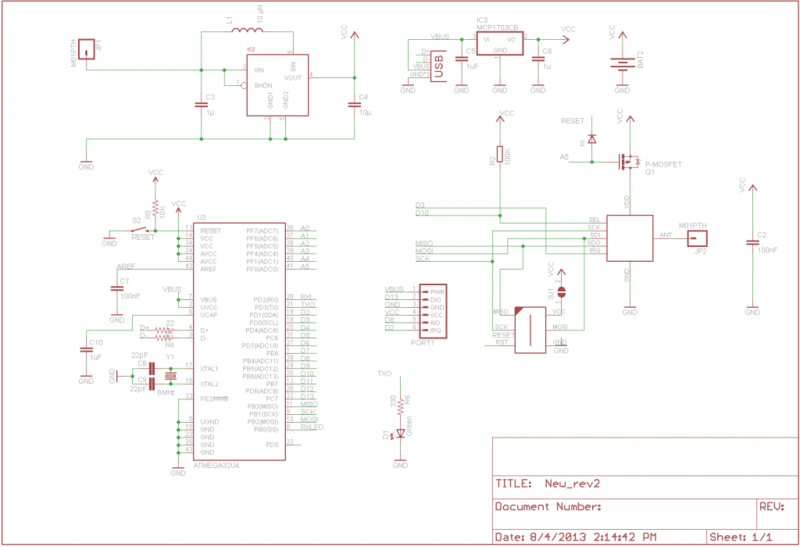 I don’t think that it is ported yet, but that should be pretty easy to do, as it uses standard serial @ 3.3V. Yes, the Funky v2 talks happily to all RFM12b based nodes.